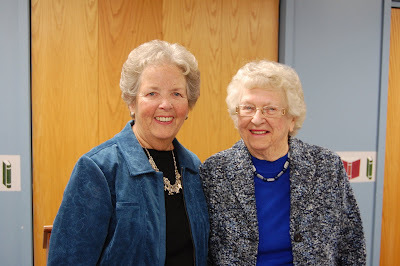 Photo- Reviewer Jean Richards Seymour and Betty Falstick, President of Friends of the Newark Public Library. The Story of Two Schoolmarms Out West- Reviewed by Jean Richards Seymour at last Friday's Newark Library Friends Luncheon. 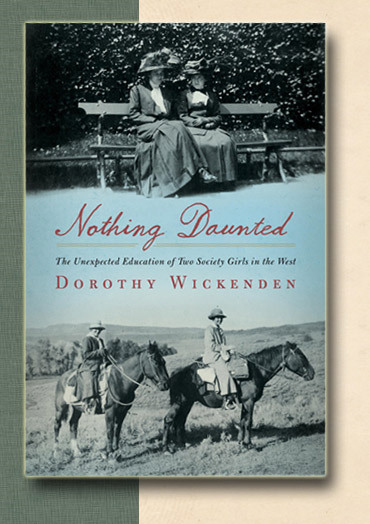 Newark- Author Dorothy Wickenden, the executive editor of The New Yorker, came upon a collection of letters that her grandmother, Dorothy Woodruff, had written home to Auburn, New York, from the small community of Elkhead, Colorado, where she and her lifelong friend Rosamond Underwood had gone to teach for a year in 1916. Colorado had been incorporated as a state in 1876, yet by the time Dorothy and Ros arrived, much of it remained open and wild, home only to the hardiest homesteaders and miners. For two wealthy young women from an industrial city in the East, now schoolmarms in a strange land. This was Mrs. Seymour's 16th review for the Newark Public Library and one of her rare non-fictions. Watch for news of the December 9, Newark Public Library Book Review Luncheon, when Dr. Fred Hicks will be in costume as he reviews his favorite read. 0 Comments to "Seymour Reviews "Nothing Daunted""